Steven Weyand Folkers’ comment on a recent post – regarding a father and son both marrying women surnamed Miller, but from unrelated families – reminded me of a similar example in my own research several years ago with two Davis sisters who had married men named Miller. This project started with trying to identify the children of Clark Davis (1803–1881) and his wife Philena Franklin (1811–1882) of Steuben County, New York. Clark and Philena had four children together (Alonzo, Elizabeth, Hannah, and Alice), and Clark also had two sons by his first marriage. Clark’s will was dated 18 March 1879 and proved 30 December 1881. Among other relatives, he identified his daughters with their married surnames: Elizabeth D. Miller, Hannah Miller, and Alice Scott [Schutt]. 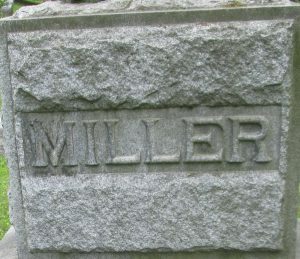 While Alice was easy to identify with her husband from later censuses, these “Miller sisters” were not quite as straightforward, due in part to their very common surname. Elizabeth and Hannah appear with their parents, ages 16 and 12, in the 1860 federal census, but are no longer with them in the 1865 New York State census. Marriages were not generally recorded civilly in New York State at this time, and in this instance newspaper announcements were a dead end. However, the 1865 state census does have one additional bonus feature not found in most census records. It lists all the people who either were married or died in the twelve months before the census! This would be all marriages and deaths between 1 June 1864 and 1 June 1865. As Elizabeth and Hannah would have been in their early twenties and late teens at this time, I thought checking this was worth a shot. Once I knew Elizabeth married William Miller and Hannah married Michael Miller, finding them in later records was not difficult. 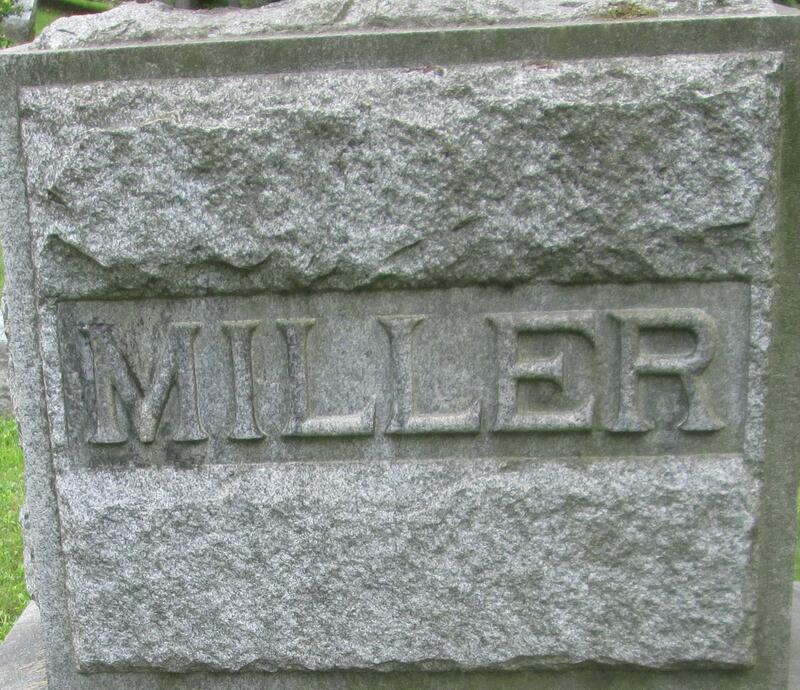 And just like in the case of Mr. Folkers, these Miller spouses were not related to each other. The 1875 state census also records this additional detail for marriages and deaths with the same amount of information. The census for 1855 shares this feature, but without the names of the people getting married or dying, so it is much more difficult to identify people in that census. While these state censuses have been indexed online, to my knowledge there is not a comprehensive index to parties identified in the marriages and death in 1865 and 1875. They appear in the same collection if you just browse the pages after the population schedule, and if you think you might have someone who married or died in those last twelve months of the census period, this is one place where you will get a New York State vital record when other years can be much more challenging. The 1865 state census also includes “deaths of officers and enlisted men while in military or naval service of the United States, or from wounds or disease acquired in said service since April 1861” (i.e. the Civil War). This Davis family, along with the family of Philena Franklin’s parents and siblings, was summarized in C.C. Child and J. Kelsey Jones, “The Family of John and Esther (Daggett) Franklin of Tioga Co., Penn., and Steuben Co., N.Y.: A John Billington Line,” Mayflower Descendant 60 : 158–78. This is a great reminder of the value of the 1865 NYS census. Thanks. I will go back and check a few of my NY ancestors in Wayne, Monroe and Livingston counties. An interesting feature of the 1865 census! I wonder if that happened in other states. How gratifying to have a comment I made on a prior article provide the subject of today’s article! Thank you, Mr. Child, for the information about the NYS census; this could prove quite useful. Lol! Researching Browns in eastern CT and found a will…five Brown sisters who all married…Browns! It’s a rabbit hole!